During the month of February 2019, Shred360 will be offering a number of FREE document shredding events that also combine a Food Drive. Come out to one (or more) of these events, and have up to 3 boxes or bags of confidential files destroyed for FREE. 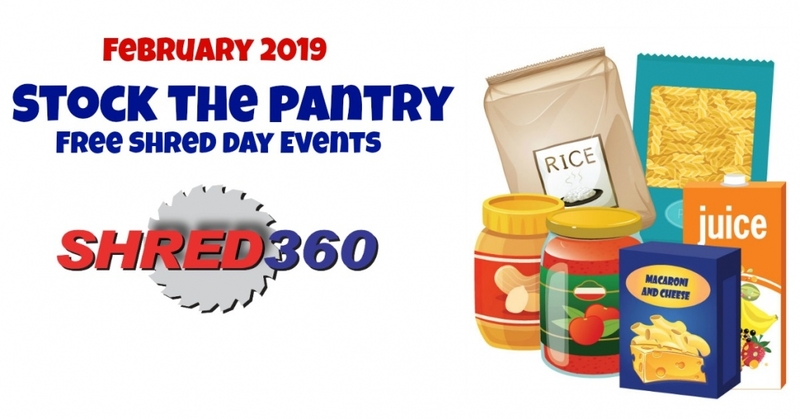 During these events Shred360 will be accepting donations of non-perishable food items to help those in our area who are hungry, and in need of a meal. We have partnered with Harvest Hope Food Bank, who will help us to feed the hungry! Click the Events below for details.